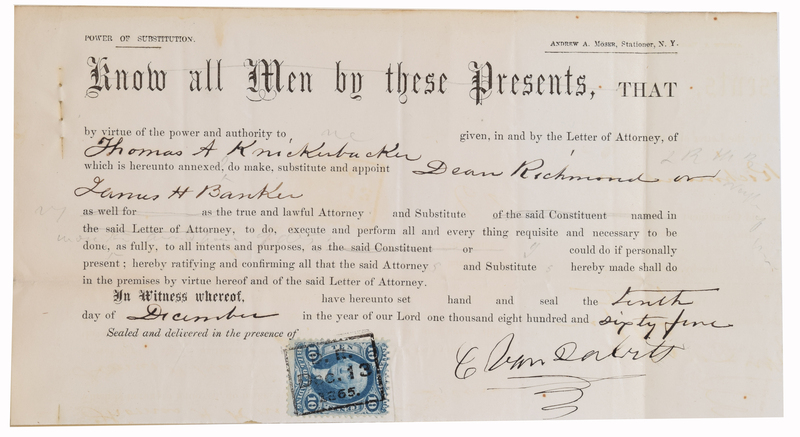 This is a very rare signed document by Vanderbilt giving power of attorney to a Thomas Knickenbacker dated December 10, 1865. It has the official revenue stamp on it as well. Any documents by the great Titan Cornelius Vanderbilt are quite rare and this one is especially nice. 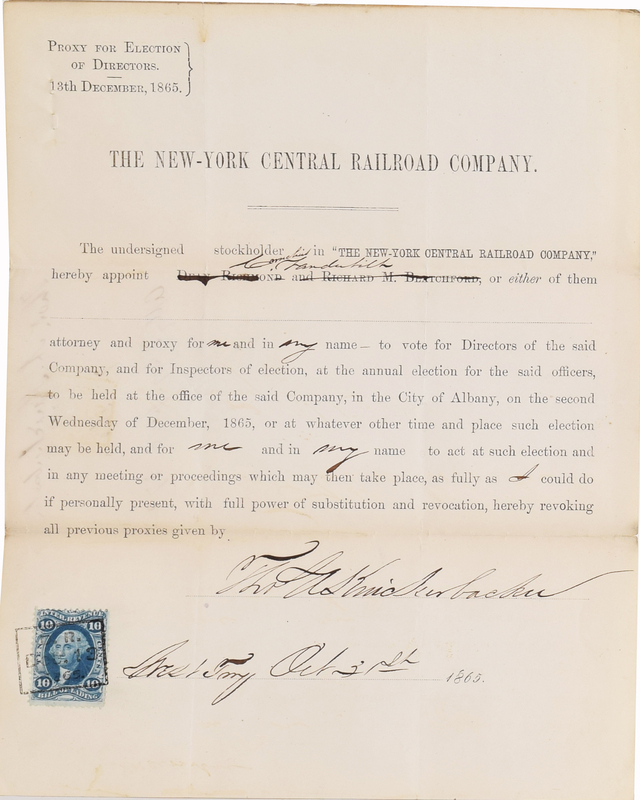 It is also is accompanied with the original Proxy for election of Directors dated December 13th 1865, in which Cornelius Vanderbilt is appointed attorney and proxy to vote for the directors of the company and for inspectors of election, at the annual election to take place on the 2nd Wednesday of December in 1865. 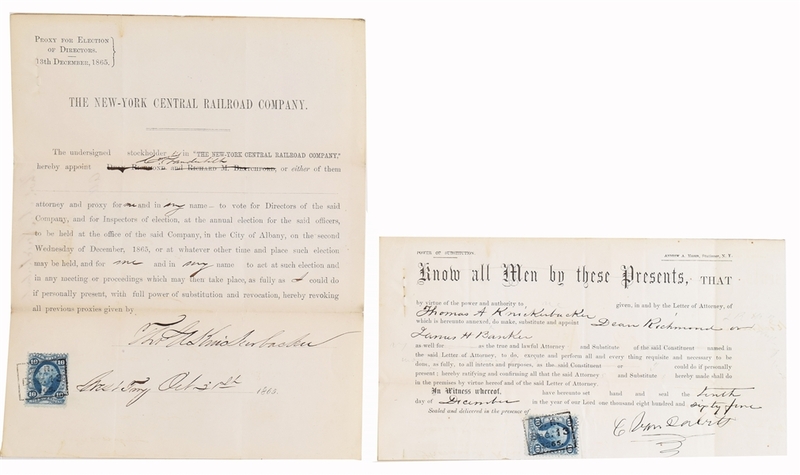 Fascinating pair of documents.